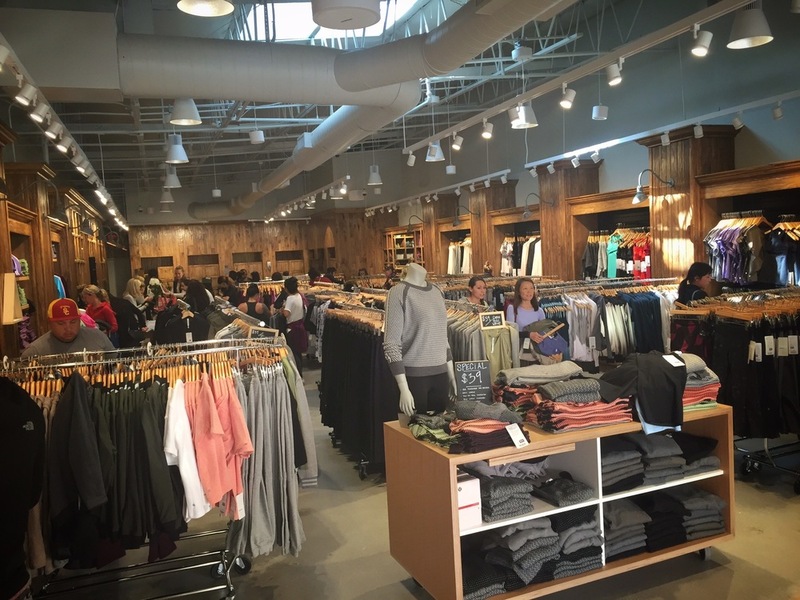 The Lululemon Outlet store at the Desert Hills Premium Outlet Mall opened on November 6. We’ve finally got a Lululemon Outlet Store within a reasonable driving distance of San Diego and I had the privilege to be a part of opening day. The store, nestled in the massive Desert Hills Premium Outlet Mall, opened on November 6, 2015. As expected, a line of Lulu addicts started to line up outside the door about an hour before opening time. Once the ribbon was cut, it was on! I supplied music and of course, my custom Lululemon vinyl from 12-inch Skinz.